30 year-old American, Cara Anaya, can have as many as 180 0rgasms in two hours; she has been diagnosed with Persistent Genital Arousal Disorder, which means she has to endure constant arousal for up to six hours a day. The incurable disorder started 3 years ago for the mother-of-one. She said she went shopping one day and walking through the store, she suddenly found herself aroused by everything in sight, smells in the air and everything she touched. Confused, she began to panic, but the arousal continued until she fell to the floor and had multiple 0rgasms. "It is embarrassing and confusing and humiliating. When you are around children you feel like a pervert because you have all these really strong feelings rushing through your body at the same time. It has devastated my involvement in my son’s life because I feel too dirty to be a part of it. It will build and build and build inside me and it’s overwhelming. 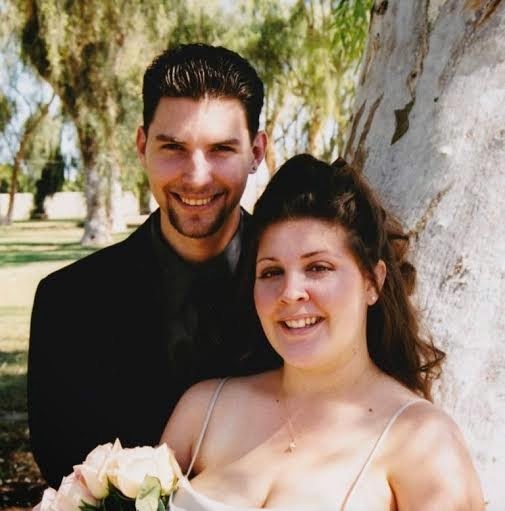 It makes me giggle because of the momentary high, and outwardly I look okay, but inwardly it’s a torture.’She's married to Tony Carlisi (pictured), who says he's fed up with the situation and hurts that his wife is going through something like this.